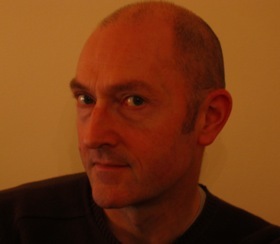 Peter Nelson was born in Glasgow, and is currently Professor of Music and Technology at the University of Edinburgh. Between 1988 and 1992 he was an associate of les Ateliers UPIC, the Paris studio of Iannis Xenakis, with which he toured internationally, composing music for the UPIC and giving concerts, lectures and workshops. His compositional output includes orchestral, instrumental, vocal and electronic music, particularly developing the use of real-time interactive computer systems. He has received commissions from many leading performers and ensembles including the BBC, Radio France, the Edinburgh International Festival, the Scottish Chamber Orchestra, the Edinburgh Quartet and the Dunedin Consort. He founded, and is currently an artistic director of ecat, Scotland's main promoter of contemporary music events, is editor of the international journal, Contemporary Music Review, and he has published articles on many aspects of contemporary musical thought.